During the winter after most doves have migrated, you may notice a dove foraging along the roadside or perched in a tree. A new species has arrived in our neighborhood, the Eurasian collared dove or Streptopelia decaocto, which has a distinctive black neck ring and a broad tail. 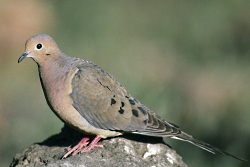 Originally found near the Bay of Bengal in Asia, this dove began its range expansion in the 1600’s. By 1900, it had made its way to Turkey, and by 2000 could be found as far north as the Arctic Circle in Scandinavia. 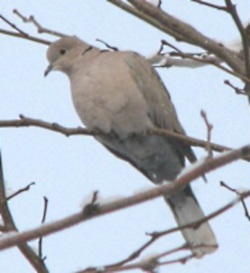 Expansion into North America occurred in the early seventies when the collared dove appeared in the Bahamas. Since 1982, when first discovered in Florida, it has been gradually making its way north and west. 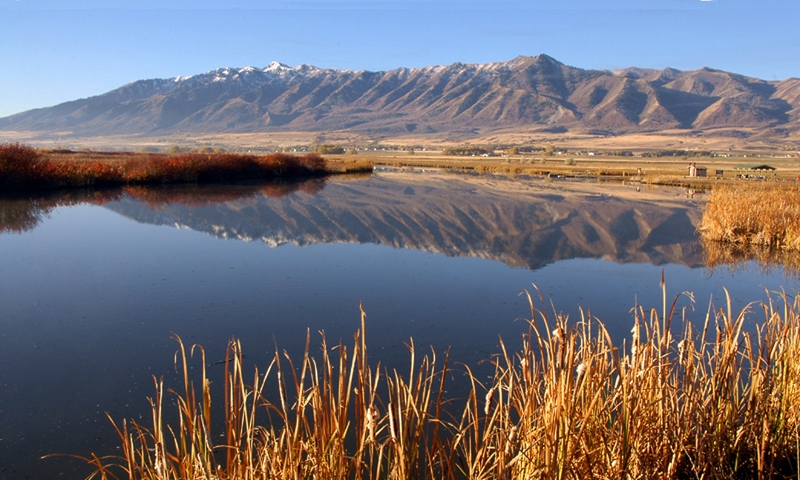 Nineteen ninety-seven marked the first official report of Eurasian collared doves in Orem, Utah. Now they have spread throughout the state. Eurasian collared doves join rock pigeons, the English sparrow, and the European starling as non-native birds that have expanded across the country. Experts attribute the success of Eurasian collared doves to the wide availability of seed offered by backyard bird feeders, as well as their ability to aggressively defend feeding areas. Some fear that they will cause territory or breeding problems for our native mourning dove, but so far there is no evidence to support this concern. 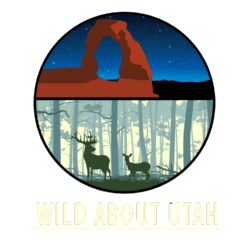 In an effort to reduce the number of Eurasian collared doves, the Utah DWR allows year-round harvesting. But be careful: don’t confuse this dove with the smaller mourning dove, which has a narrow, pointed tail and no ring on its neck. Eurasian collared doves have a distinct neck band and a broad, squared tail. Their calls also differ. The verdict is still out on the impact that the Eurasian collared dove will have on native species. In the mean time, let’s watch to see how this new dove adapts to the neighborhood and fits into the ecosystem. Thank-you to Lyle Bingham of Bridgerland Audubon for writing this essay and to Kevin Colver for providing the recorded songs.